Welcome to Escape From Pop Purgatory, where we check out new music made by people who are more well-known than 98 percent of the oppressively “cool” artists who the media obsesses over, and yet are commonly perceived to be years past the point of their cultural relevance. (Pop Purgatory is fame plus time.) Because we’re unwilling to let albums released by established if unfashionable pop culture institutions come and go without a proper listen, we’re giving these damned souls a shot at redemption — or at least some much-needed publicity outside of their respective fan bubbles. In this installment, we look at Anthem, the latest LP from the “MMMBop”-ping bubblegum brother act, Hanson. Period of Peak Fame: 1997. Do I really have to explain “MMMBop” to you people? You are aware that it moved 10 million units of Hanson’s breakthrough album, Middle of Nowhere, because it happens to be a perfect distillation of all that is pure and innocent (OK, maybe not that pure and innocent but definitely all that’s stupidly enjoyable) about childhood, aren’t you? You have two ears and a heart, I presume? What’s Happened Since: Hanson’s post-“MMMBop” career is sadly typical (and then sort of not) of young artists who are run through the teen-pop meat grinder. The follow-up to Middle of Nowhere, 2000’s This Time Around, coincided with a corporate changeover at Hanson’s record label, and when the album didn’t even come close to doing diamond-level numbers, the band’s tour funding was pulled. By 2004’s Underneath, Hanson returned to its pre-fame indie roots, forming its own label, 3CG (short for “three-car garage,” the brothers’ original home recording studio, as well as a reference to a 1998 compilation of early recordings), that continues to put out the band’s music to this day, including Anthem. Where Are They Now: Was there a group marked for one-hit-wonderdom with more extreme prejudice in the ’90s than Hanson? Surely nobody assumed that the floppy-haired nobs in Deep Blue Something were built to go the distance. But Hanson? The little kids who made blond longhairs harmlessly adorable again after Kurt Cobain? It seemed highly implausible that Hanson would ever make it to album no. 11. And yet, here we are: Anthem comes 18 years after the group’s first record, and the drummer who looked like a lost Olsen twin back in ’97 is two years from 30. Time flies when you’re not paying attention, eh? In a way, it shouldn’t be surprising that Hanson is still with us — from the beginning, these kids had a knack for the business they call show. Taylor, Isaac, and Zac haven’t been able to replicate the success of “MMMBop,” but they keep on turning out slick, well-made pop product just the same. Hanson is the pop equivalent of those Japanese soldiers who refused to surrender after the end of World War II, opting instead to prowl the jungle for years and years until they were needed again. Taking this analogy to its illogical conclusion, Anthem is Hanson’s WWIII album — they’re here and ready to fill a pop-soul niche for an audience that wishes the members of Maroon 5 were related. 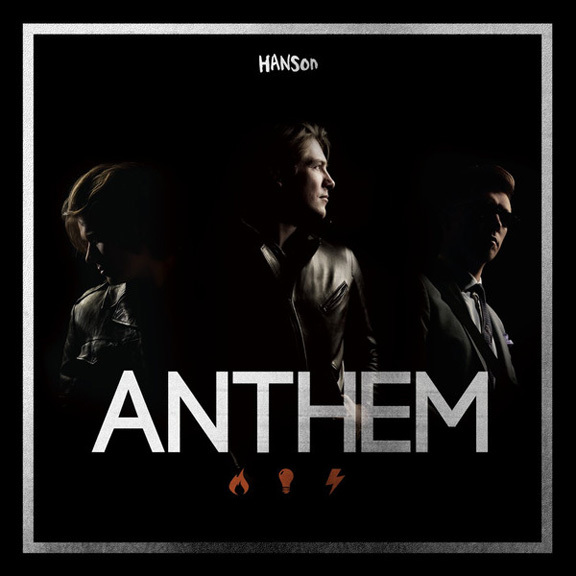 Admittedly, I haven’t kept up with Hanson’s discography, so maybe the more rock-oriented, soaring anthem-ness of Anthem isn’t necessarily a “new” direction. But Hanson cops a positively metal stance on this record that I definitely did not expect — on the factually titled opening track, “Fired Up,” Taylor murmurs, “Come with us if you want to live,” with a trace of what could charitably be described as “menace” but is more appropriately described as “awkwardness.” At least it’s likably tuneful awkwardness — Anthem’s “Michael Jackson vocals plus bubble-grunge guitars” template suggests that Hanson set out to make a version of Fall Out Boy’s recent Save Rock and Roll that was actually listenable. They succeeded. Representative Track: “Get the Girl Back” gives you everything you could want and didn’t know you could possibly ask for from a 2013 Hanson record you probably weren’t aware existed: cowbell, handclaps, more cowbell, the horn section from Bruce Willis’s The Return of Bruno, MORE COWBELL, a credible James Jamerson bass line, backing vocals that sound like soulful Muppets, AND SWEET JESUS THERE CAN NEVER BE ENOUGH COWBELL!!! Escape From Pop Purgatory: Yes! Your superior ’bell skills serve you well, familia del Hanson.